The Monster High™ ghouls have the creepiest cool pets! Celebrate these adorable beast friends with Frankie Stein™ doll and her teddy bear-like pet. She wears a gore-geous dress with graphic print in her signature colors and legacy-inspired accessories and comes with a themed bag to scare up even more pet play. The daughter of Frankenstein, Frankie Stein™ doll looks electrifying in a plaid dress in her signature colors with a red sash belt. A silvery accessory and red bolt-decorated shoes are voltageous, and a spool-shaped bag with medical cross is perfect for when things come undone. Her pet is just as monsterrific. 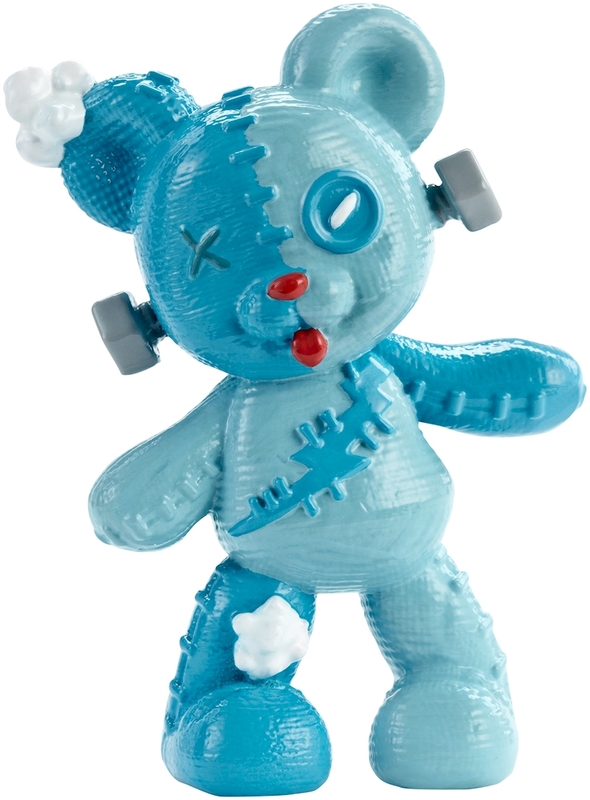 The blue-hued teddy bear of Frankie Stein™ has cute sewn up with its stitches, bolts and antenna. Whether it’s feeding time or play time, the Monster High™ ghouls know how to live it up with their beast friends! Collect them all for a full monster menagerie (each sold separately, subject to availability). Includes Frankie Stein™ doll wearing fashions and accessories, pet Watzit™ wearing accessory and a themed purse. Doll cannot stand alone. Colors and decorations may vary.